You hear a door slowly start to open. Maybe if you remain frozen the child that is coming out of their room will think that you are sleeping too and will just go back to sleep. Hold your breath, don’t move a muscle. Crap, he sensed my fear. What does he need now? Time to put pleasant mommy voice on. Oh, how sweet. He really is so adorable. How could I say no to that? You give several more hugs then put that adorable munchkin down again. Peace once again. Or so you think. During the next 30 minutes your adorable child comes out to give you 4 more hugs, 8 more drinks, and 3 potty trips. Plus all of the questions and pleas for help. Why?! Why won’t you go to sleep? Why does my child hate going to sleep? Any of this sounding familiar? Do you ever wonder, why does my munchkin seem to hate sleep? Take FOREVER to finally fall asleep or have an abundance of “love” to show you when they are supposed to be sleeping? I want to help you end the sleep battle! In this post I will teach you some techniques to use when routines aren’t working. Then we will learn how much sleep your munchkins should be getting. And finally, I will share my personal routine that I do with my munchkins. Ready? First up a video. And action. What are you and your kiddo struggling with in regards to sleep? Pick one or two suggestions from the video and try them out this week. Commit to that for one whole week. If that helps, WAHOO! If not, try one of the other suggestions or shoot me a message so I can help you solve this issue. Newborn 0-3 months 14-17 hours Varies NA Newborns are too young to put on a sleep schedule. I have found that if you follow the eat, play, sleep routine it all seems to work out. Infants 4-11 months 12-15 hours 2-4 7:15 This is when you want to start a sleep schedule/routine. Younger infants need more naps but will take fewer as they get older. Toddlers 1-2 years 11-14 hours 1-2 7:30 This age starts to get tricky because toddlers are learning to climb out of cribs and open doors. Remain consistent on routines and loving even when they are being difficult. Preschoolers 3-5 years 10-13 hours 1 7:45 By this age some kids no longer need naps. If this is the case with your munchkin, do quiet time instead. Trust me, both of you need this time still. School Age 6-13 years 9-11 hours NA 8-9 From now on children shouldn’t need a nap. (Unless something unusual is happening like sickness, growth spurt, change in normal routine.) If they are consistently tired they may need to go bed earlier. Teenagers 14-17 years 8-10 hours NA 9-10 Continue to make sleep a priority! Adjust bedtimes to ensure you are getting enough sleep. What do I do every day to get my kids to sleep? My daughter is 8 months old and takes 2-3 naps a day. Her morning nap is more like a power nap and will last 30-45 minutes. After lunch she takes a long nap for about 2 hours. Half of the time that is all she needs but she does take a late afternoon power nap when she needs it. I have kept things simple for her naptime routine. It is just a 3 step process. Ready for it? 1) Change diaper 2) Lay in bed 3) Give binky and/or monkey lovey. Now I will say that it hasn’t always been that easy. It certainly took some training to get her used to that process. But I have stuck with it and it has worked. I think it’s important to remember that your child might need more or less help than that to get to sleep. That is ok! The important thing is that whatever your routine is, remain consistent. Sure there will be days that will be difficult and your munchkin might not cooperate and you may question your sanity but I promise that consistency and LOVE are the key to getting your kids to sleep. 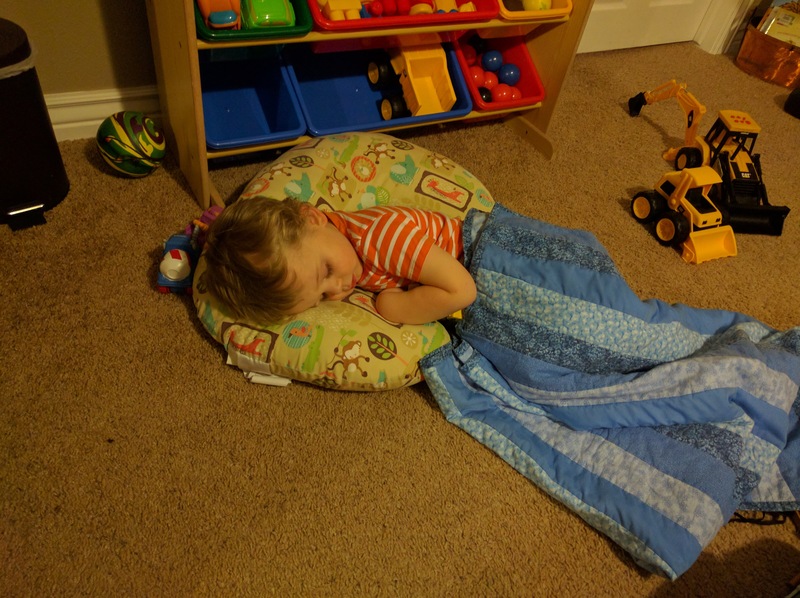 Naps are not very different with my toddler. He takes one nap everyday for 1.5-2 hours. After lunch we 1) Use the bathroom 2) Read a story 3) Give stuffed puppy. Jordan Page has some great tips on how she gets all 5 of her kids to nap. Our bedtime routine is a bit more involved. It usually takes us 30 minutes to get both kids down. At 7:00 I turn on our sound machine and dim the lights. Baby then gets pajamas and a new diaper on. Then I sing her songs, say prayers, put her into bed with her binky and lovey, turn the light off, and walk out. While baby is getting put down toddler is getting pajamas on, going to the bathroom, and eating a light snack. Then he gets his vitamin and brushes his teeth. The routine ends with us reading 2 stories, singing songs, saying prayers, tucking into bed, and then lights off. Side note, the stories you read before bedtime can make a difference on getting your kids to sleep. Check out this post for stories to avoid at bedtime. Sleep can be a huge battle ground. 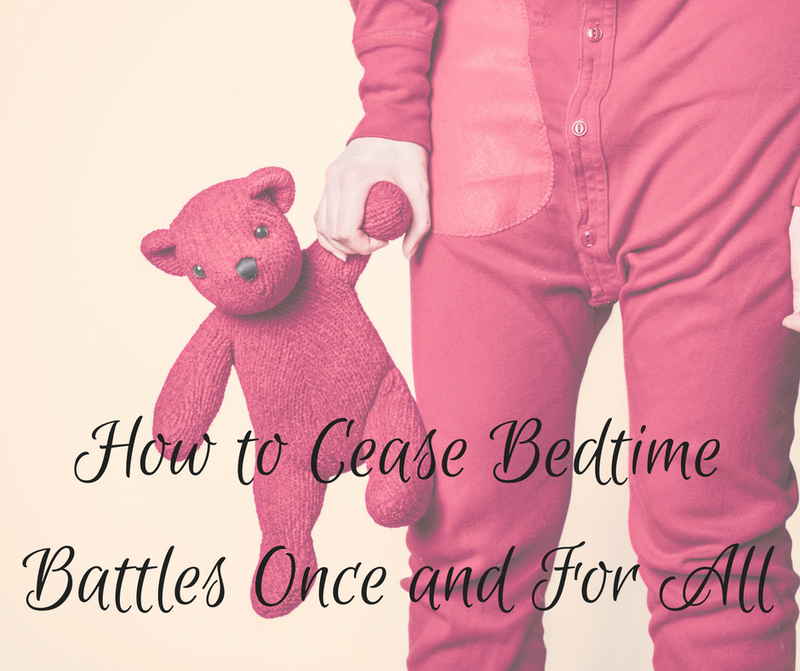 It can be so challenging to get your kids to go to sleep at times. Make sleep a priority. Protect bedtimes and the routines. Be consistent. Make changes when it is necessary. Try it out. If you are still struggling send me an email. I would love to help you! If you liked that you should read my post all about story time.